This porcelain saucer is from a tea service. 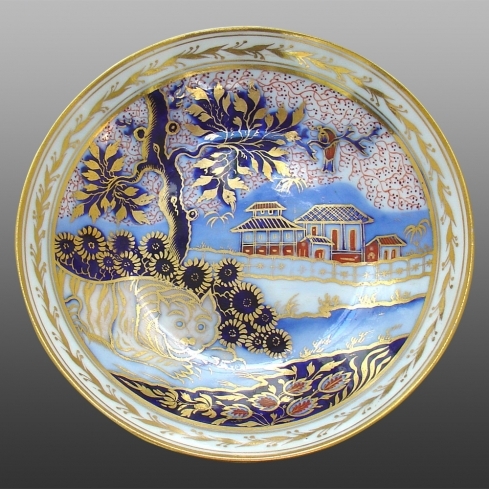 The transfer printing is underglaze, but overglaze enameling completes the pattern. It is heavily gilded. The pattern is known as Pattern #1214.